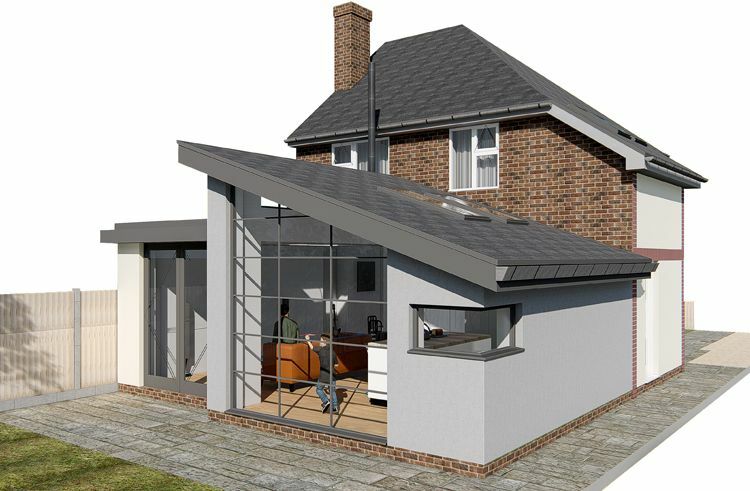 With the ever-changing requirements of modern living, soaring house prices and drastic short supply of property, home extensions have become increasingly popular. In the 21st century, many of us require very different kinds of family living space than are provided by our often traditionally designed homes. Kitchens, for example, have become more than places to simply store and prepare food – today they are often the most important social spaces in our homes. Yet, at the same time, more of us are now also working longer hours from home so in addition to a computer space in the corner, we may also require a separate study or home office. These days, our grown-up children are more likely to be living with us and our elderly parents may also wish to be under the same roof. And for many of these now multi-generational families, one bathroom is never enough. Solving these problems by extending your home is often easier and more cost effective than moving – and we can certainly advise and assist you. Do you have a large, empty loft? Or a garage the car is never parked in? Does your home include a separate dining room when mostly everyone eats in the kitchen? Howie Architects will always seek first to make the most of the space you already have as in many cases, this can help keep costs under control. Furthermore, it is important to ensure an extension does not end up creating new space at the expense of existing space – for example, losing one bedroom to create a corridor to a new bedroom. This is where an architect can really help. Of course, extensions come in all shapes and sizes: they may be contemporary additions to older houses or they might be designed to blend in with existing period styles and to look as if they had always been there. Both approaches can work but Howie Architects will always look to ensure the external design is sensitive to the existing property, referencing materials and aesthetic, whether in a cutting-edge, contemporary style or a traditional manner. Submission to the local authority is still needed, however, and again we can advise you on the best approach.